The following public domain book is now available on-line for free download in PDF. 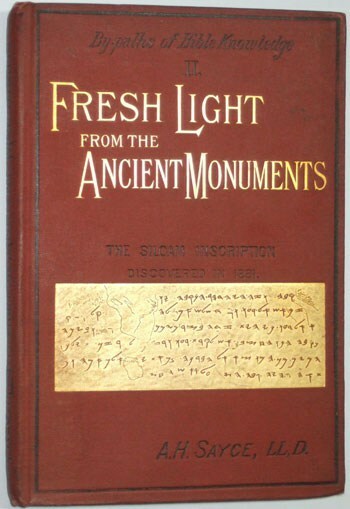 Archibald Henry Sayce [1846-1933], Fresh Light From the Ancient Monuments, 5th edn. London: The Religious Tract Society, 1890. Hbk. pp.160. Click to download. Appendix III. 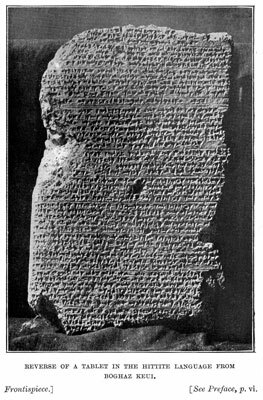 Translation of a cylinder of Nabonidos, King of Babylonia, containing the name of Belshazzar. Archibald Sayce [1845-1933] made significant contributions in the field of Biblical Archaeology, not least for his pioneering work on the Empire of the Hittites. Many of his books are still being reprinted today, which is probably as good an endorsement of their enduring value as you can get. Sayce also contributed a biblical archaeology column in the Expository Times which I am in the process of scanning. Archibald Henry Sayce [1846-1933], The ‘Higher Criticism’ and the Verdict of the Monuments. London: SPCK / New York: E. & J.B. Young & Co., 1894. Hbk. pp.575. I will be digitising more of Sayce’s titles as hard copies become available to me. I am also in the process of compiling a bibliography of his extensive works.